Everyone needs a break from the labyrinth of urban development, to seamlessly sync the three elements of life. City based spas offer a space to bridge the gap that the daily bustle creates in our mind, body and soul. Drawing inspiration from the majestic land of ancient customs and rituals, city spas of India, Bhutan, Sri Lanka and Nepal give you the opportunity to achieve a divine state of well being or just infuse energy into a fatigued body, without traversing long distances. The secret symphony of life gets tuned right in your backyard. You don’t need to step too far to find solace and tranquility. These city spas ensure that you restore the equilibrium of the mind, body and soul, in turn help in making you feel energized. With these, rejuvenation does not have to be a function of taking out a few weeks of a hectic routine and make special time to rekindle energy. Therapies and treatments that help you tune into a long-term state of calmness are the highlights of these city spas. These spas are also great for visitors who are travelling and want to plug a spa experience along with sightseeing. This is the perfect antidote to travel weariness. Amankora, Thimpu is spread on the upper reaches of the Motithang area with expected lush surroundings. Green rolling farmlands can be spotted as far as your eyes can be seen. Sixteen suites stand like an oasis, sprinkled over the property. The bedroom and lounge area, combined with a wood burning stove makes for one unit, that overlooks a copse of pine trees, a stream or a landscaped courtyard. Dimensions of local architecture are imbedded in the construction, but the amentias in the rooms and nothing short of luxurious. The balconies are a coveted spot in the property, so that one can feel synthesized with nature. Health and happiness is not only about regimented exercise and eating right, it is accentuated by the meeting of the mind, body and soul or just a simple act of feeling refreshed. This happens only when you step out of the hum of daily life and transport yourself to a place where you can achieve inner peace. This is possible at Amamkora in Thimpu, where you can step away from the bustle of the cities and be in tune with yourself and nature. The spa also gives you an option to enjoy the Bhutanese hospitality and inject the trip with a short rejuvenating experience. This is essential after sightseeing and travelling. It is the spa treatments and the variety of complementing cuisines that truly helps one unwind. 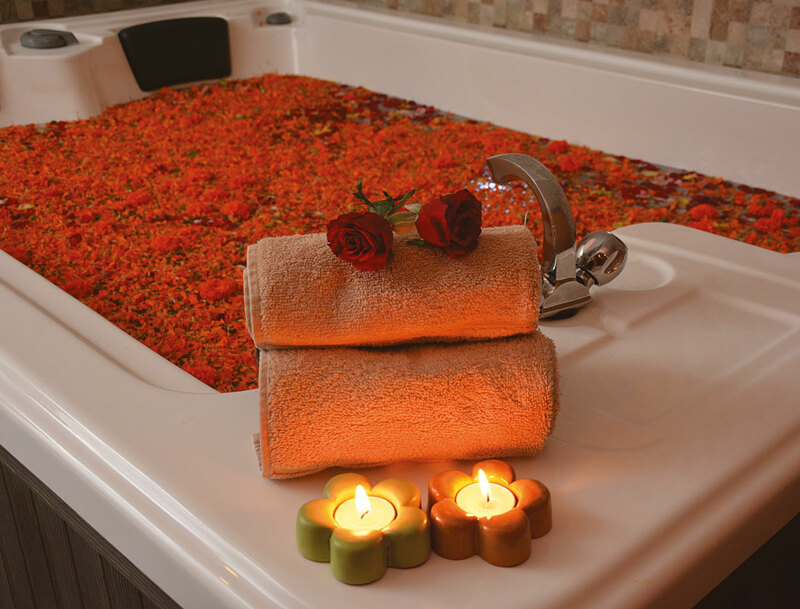 The spa has a long list of essential body treatments, easygoing massages and body scrubs. These basic treatments have you refreshed in a matter of minutes. At the spa, specialists take over to offer a perfect environment that ensures that you leave worldly concerns behind as you achieve perfect relaxation. A unique selection of spa and massage experiences blends classic and contemporary techniques to soothe the body, revitalize the skin and uplift the spirit. The spa provides personalized, rejuvenating and indulgent treatments to instill wellbeing. These can be comprehensive long-term treatments or short rejuvenating packages that provide instant invigoration. 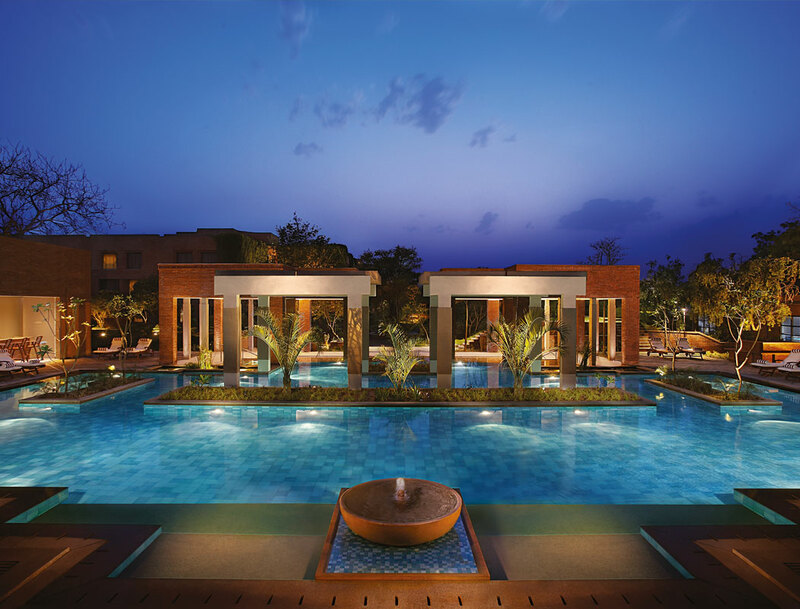 The perfect place to unplug, Dusit Devarana is the ideal urban luxury resort, wedged right in the heart of Delhi. Despite the great access, the hotel has the ability to transport you to another world, through its well thought out and substantially equipped spa. The spa provides personalized, rejuvenating and indulgent treatments to instill wellbeing. These can be comprehensive long-term treatments or short rejuvenating packages that provide instant invigoration. The products used by the spa are exceptionally natural and high quality to achieve effective and long lasting results. Along with the spa therapies, it is recommended to enrich your experience with the help of Yoga and meditation. A pulsating energy runs in the open-air spa area. It is nothing but intriguing to feel a vibe so crisp, despite being in one of the most busy areas of Delhi. Go here to soothe your senses. Traditional, medical and contemporary casual remedies inspired from India’s traditional practices and modern therapies, form the basis of massages, scrubs and baths. At Devarana, it is all about being one with yourself, drawing inspiration from the elements around you and feeling completely relaxed. Here, you can lose yourself to the luxurious setting and some befitting pampering. A spectacular palate of salon time, ‘fast beauty’ treatments, Thai, Ayurveda and Shiatsu techniques with Swedish and Aromatherapy massages, along with in-depth Ayurveda programmes, body scrubs, facials and water treatments, usher you into complete relaxation and pampering. Customised service is yet another highlight of the spa experience here. In-house doctors and experts help you to narrow down treatments that are sure to cleanse the mind, body and spirit by helping you tap on your inner vitality. Devarana’s spa is made for enrichment of the soul. It offers to nourish and enhance the mind and body, both. If you’re looking for the perfect place that marries a pleasurable travel trip with a focus on health, wellness and rejuvenation, look no further than Kaya Kalp, The Spa at ITC Mughal. They use the backdrop of the Taj Mahal to synthesize travel with a holistic approach towards wellness. The 35-acre property is sprinkled with royal suites, fitted with 5 star amenities and facilities. The hotel also has a reputation of serving excellent cuisine that matches your holistic needs. Traditional influences of Mughal landscaping and architecture can be seen all through the luxury resort, including the spa. Overlooking the greatest symbol of love, Taj Mahal, ITC Mughal offers a royal ambience for its spa, Kaya Kalp. Emulate the luxurious lives of the royals while pampering yourself. It recreates the magic of the Mughal period with opulent facilities. This is the largest spa in India, so expect to see a vast expanse studded with various facilities like the steam rooms, infrared baths, spa pool, treatment rooms and massage rooms. You are in the hands of experts who first assess the suitability of treatments for you. These are based on ancient customs, to create meaningful experiences for the soul. 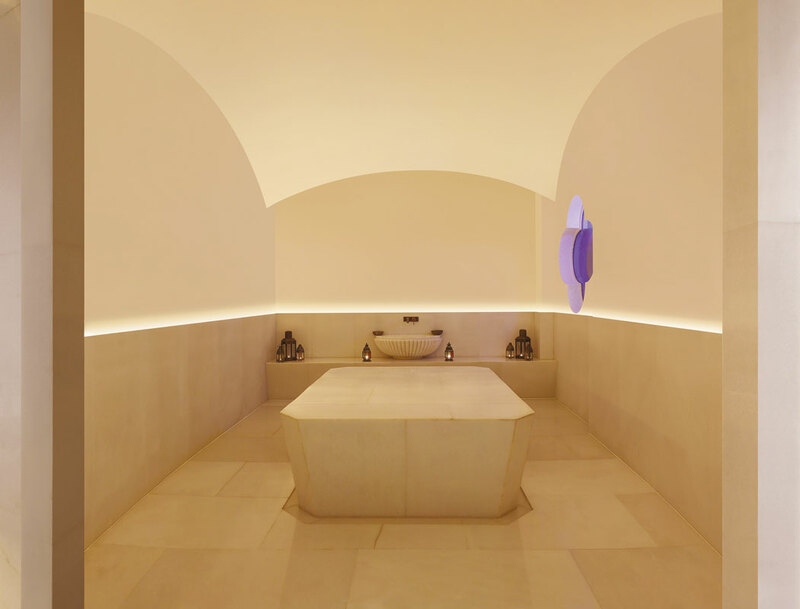 A royal but quick hammam with body scrubs, facials and massages are designed for the fast paced holidaymaker. These complement the Ayurvedic journey of Abhyanga, Shirodhara and meditation for a balanced treatment of rejuvenation and revitalizing. These are just a few of the plethora of treatments that Kaya Kalp offers. Being the largest spa of India, it has a vast menu with various treatments, though all of them are offered along with prior discussion with the in-house experts. You can choose detailed therapies or basic rejuvenation treatments that extract the travel weariness out. Situated in the lap of the stunning Himalayas, the resort is adapted to its magnificent location and embraces the time honoured healing practices of International and Indian spa treatments, infusing their basic philosophy during your entire stay. The hotel lies in the thick of the busy capital city of Kathmandu, and is still able to make you escape to anther world of peace and relaxation. One of the highlights here is the in-house spa. A unique selection of spa and massage experiences blends classic and contemporary techniques to soothe the body, revitalize the skin and uplift the spirit. A sense of relaxation, well-being and rejuvenation awaits amidst the Himalayan range of mountains. Here, the tranquility of the mountains is resonated by the Radisson spa. Surrender to the magical powers healing and rejuvenation programmes that draw inspiration from the vitality of this simple natural element– our very source of life on earth. The products used in the spa are top of the line. Imagine a hard day’s sightseeing and then coming back to the relaxing spa, that helps you connect the mind, body and soul. The spa has a long list of essential body treatments, massages and body scrubs that are geared to make you feel refreshed. Get in tune with nature and yourself with complete body therapies and beauty care services. This is the start of the journey to healthy living. Body care and beauty therapies are well thought-out, researched and presented. The treatments are offered under the supervision of experts and only after a discussion with the therapist. The wide variety of therapies allows guests to choose from a vast repository of rejuvenating packages or serious treatments for which you need at least two weeks. 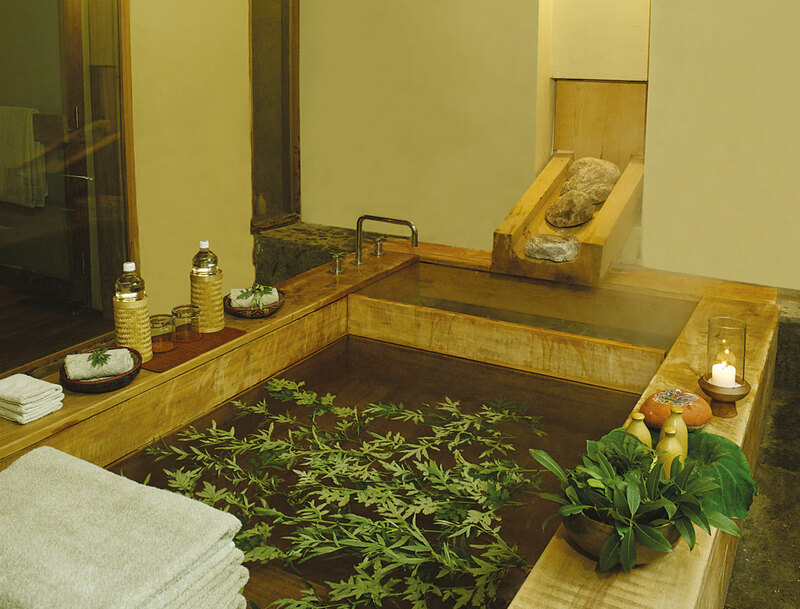 This is one of the largest spas in Nepal, where you can begin your journey towards healthy living. Cinnamon lies in the most ideal tropical corner of the world, where relaxation is the key. 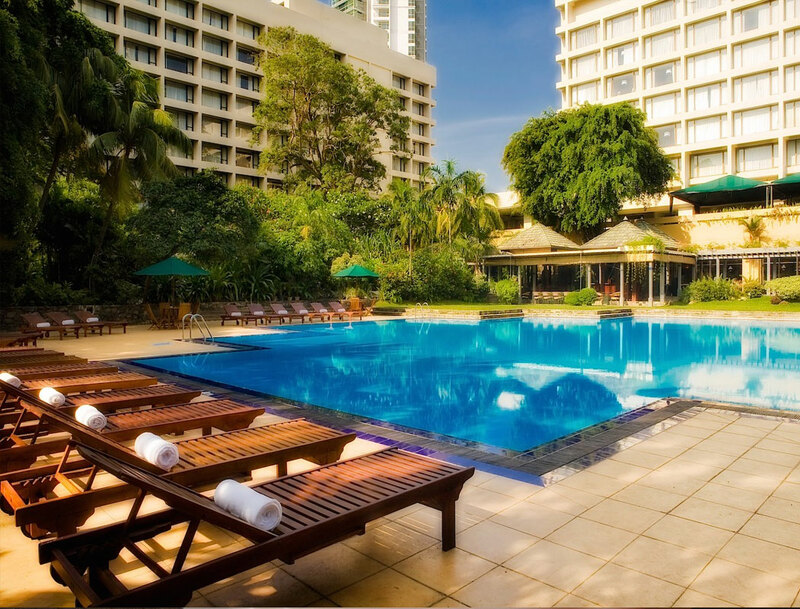 Cinnamon Gran Hotel lies in the heart of Colombo, the capital city of Sri Lanka. Despite being in the busiest city, the hotel is caressed by soothing sea breeze and helps transport the traveller to a place of tranquility. The in-house Angsana Spa has a lot to do with that. The spa features a signature line of treatments, based on time honoured practices and traditions. It is dedicated to promoting a healthy lifestyle, by trying new treatments and beauty experiences. As a guest of the Angsana Spa, you will embark on a journey to complete relaxation. Healing stones along with head, foot and full body massages add to the menu of effective traditional treatments with a modern twist. Indulge in the legendary therapeutic secrets of traditional Indian practices as well as dip into the repository of modern therapies. The treatments serve to restore your sense of well being and balance throughout your time there and hopefully leave you with a need to maintain that rhythm between the mind, body and soul. The sound of the ocean nearby combined with sincere warmth allows for complete rejuvenation.